Dolce & Gabbana presents five perfumes of their collection The D&G Anthology, which arrives on the market in September 2009. Two other fragrances will join the collection next year. The fragrances are advertised by celebrities, who are shown naked in advertising campaign made by Mario Testino. Women models are Naomi Campbell, Eva Herzigova and Claudia Schiffer, and men are: Noah Mills, Fernando Fernanes and Tyson Ballou. The collection The D&G Anthology was inspired by tarot cards and their marks. The fragrances of this collection were named: Le Bateleur 1 (Tyson Ballou), Lâ€™Imperatrice 3 (Naomi Campbell), Lâ€™Amoureux 6 (Noah Mills), La Roue de la Fortune 10 (Eva Herzigova and Fernando Fernandes), La Lune 18 (Claudia Schiffer). All fragrances will be available in amount of 100ml (3.4 oz) edt. 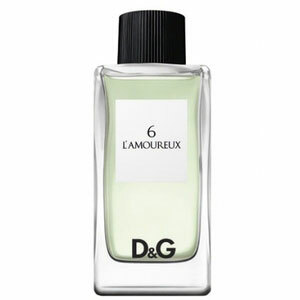 Lâ€™Amoureux 6 includes aromas of spices, juniper berries, bergamot, pink pepper, cardamom, birch leaf, iris root, wood and musk. It is advertised by Noah Mills.